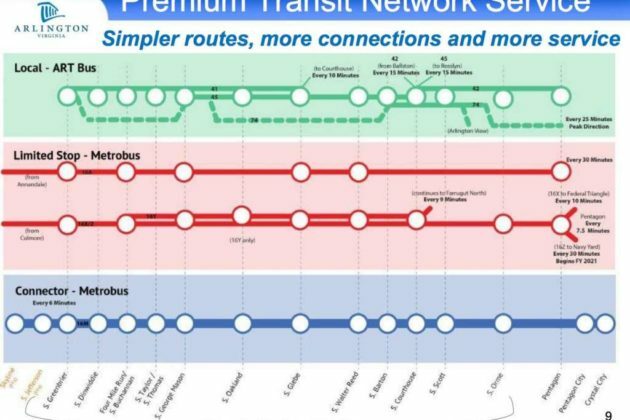 (Updated at 11:25 a.m.) Dedicated lanes look unlikely for the proposed “Premium Transit Network” along Columbia Pike, which is set to open next summer after delays. 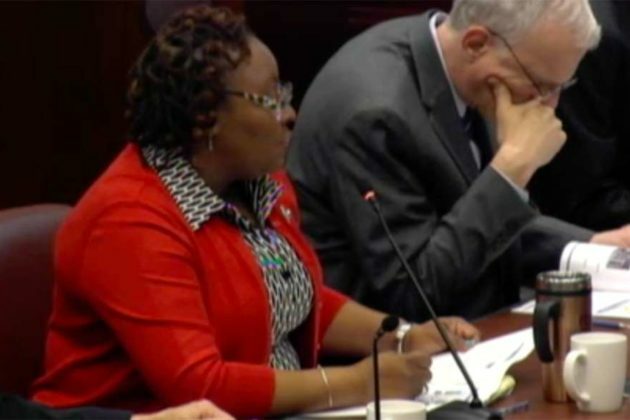 Staff from the county’s Department of Environmental Services studied the feasibility of dedicated lanes along the Pike, but at a work session on Tuesday said they would likely not work. 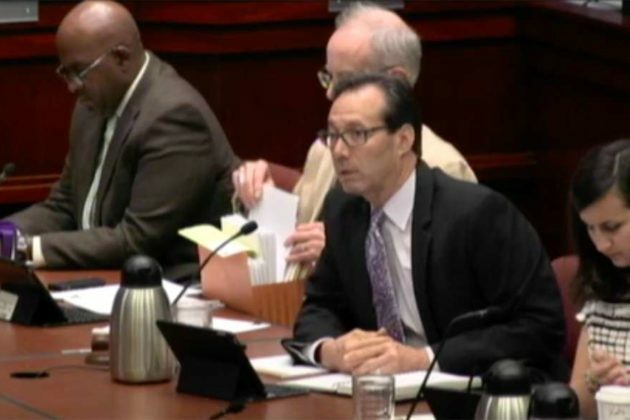 Transportation director Dennis Leach described Columbia Pike as a “challenging corridor” for dedicated lanes and priority traffic signals for buses, like the Transitway between the Braddock Road and Pentagon City Metro stations. 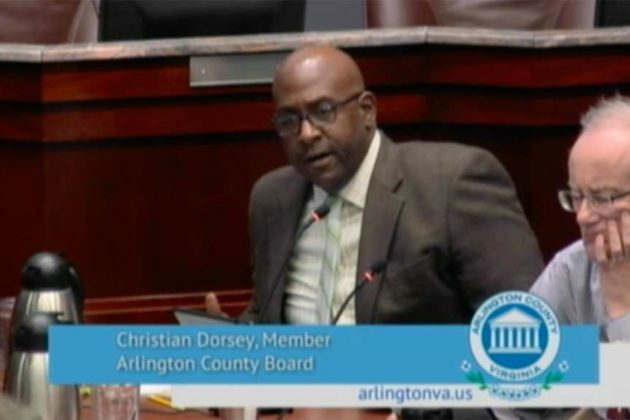 He said that the configuration of the road would not work for dedicated lanes, while they may also violate form based code that regulates development on Columbia Pike to make the area more walkable. “There are no easy solutions. there are lots of tradeoffs, and some options would make things far worse,” Leach said. He added that giving traffic signal priority to buses might cause problems at some cross streets with Columbia Pike, especially those with heavy traffic. Board members said they would like to see further study, and that such plans should not be ruled out even if in just one area of the Pike if it provides a benefit. But the buses could be in for a unique look like the Transitway, which would mark them as separate from the other Metrobus and ART services along the Pike. Staff recommended pursuing a distinctive bus appearance, while using Metro’s standard stock of buses rather than ones powered purely by electricity or hydrogen due to cost. Arlington’s buses could also be set for more advertising after staff issued a Request for Information last week. Responses are due from vendors by July 13 as staff gathers information about what could be done to generate additional transit revenue. A separate suggestion by the Board to have buses arrive every six minutes on the Pike even in off-peak hours comes with a heavy price tag, as DES staff said it would cost an extra $2.5 million and require buying another bus. 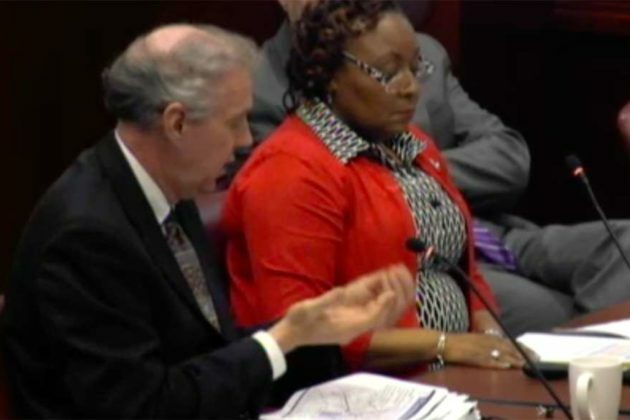 Staff also said demand might not be enough to help defray those costs. But Board members said providing more service could help encourage more people to take the bus. 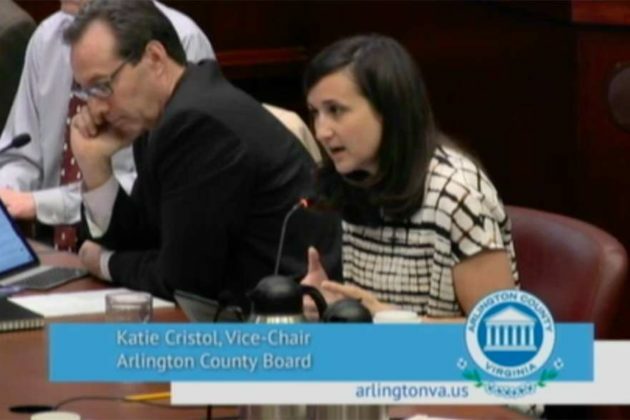 Vice chair Katie Cristol said the idea is “also trying to induce demand,” especially when considering statistics provided by staff that show many bus riders in the area go to points along the Pike rather than beyond it. 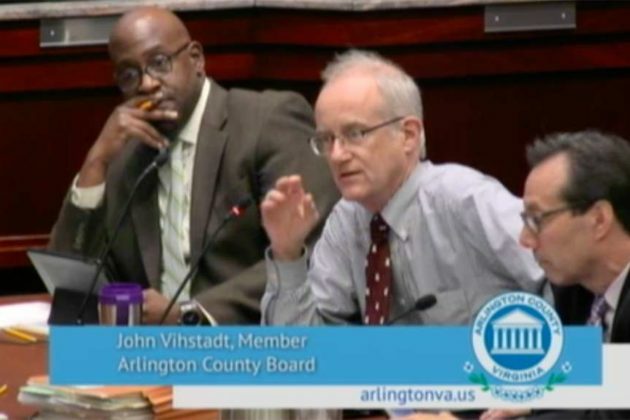 “The objective here is not simply to meet current demand, but to create a transit system in which people can go to their bus stop, get on their bus and know they will be able to ride to where they want to go at some point,” Cristol said. 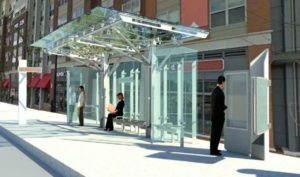 Board chair Jay Fisette agreed, noting that there is an “expectation” among Columbia Pike residents that transit improve. When the proposed streetcar was cancelled in 2014, Board members promised a system that would be just as good, if not better. The new bus service is on track to open next summer. 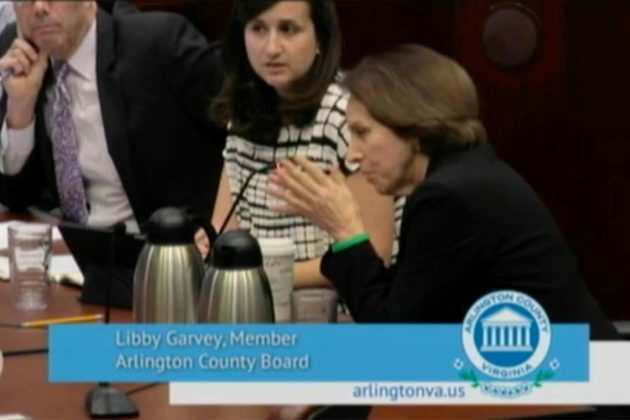 The county will engage in meetings with Fairfax County on the project, and is set to submit a version of it to WMATA’s Board of Directors to vote on ahead of finalizing a service plan later this year. Also delayed but moving forward: the construction of 23 “premium transit stations,” along the Pike. The successor to the nixed $1 million “Super Stop,” the new stations will be factory assembled to save money. The county will be issuing a Request for Proposals for the stations later this year, according to a staff presentation, with the goal of wrapping up installation by the second quarter of 2021 in coordination with multimodal improvements along the Pike.